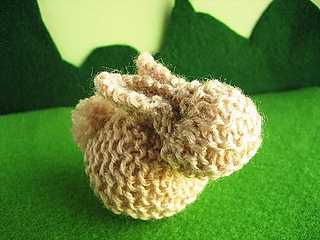 This bunny is formed by cleverly sewing up and stuffing a knitted square. Any yarn can be used, simply choose needles that give a pleasing fabric that will hold the stuffing in. 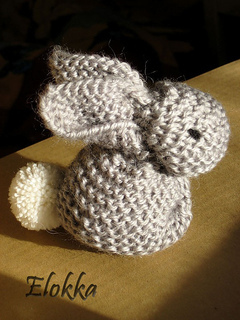 The size of the bunny is determined by the size of the knitted square. 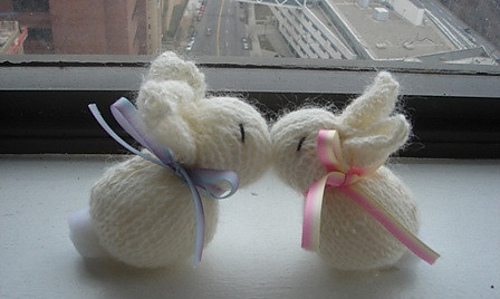 The example in the pattern uses 8ply wool on 4mm needles and 28 stitches across. Note: pattern was originally available on the Artsy Fartsy Mama website, but has been moved to the newer Jo So and Sew blog.